This is one of the leading international conferences for presenting novel and fundamental advances in the fields of Machine Vision. Amsterdam is a major centre of art, technology, finance, publishing, culture, innovation, education, business, and tourism in The Netherlands and Europe and enjoys a very high standard and quality of living.It's worth to spend a week here and still be hungry for more. 2019 The 12th International Conference on Machine Vision. Welcome to the official website for 2019 The 12th International Conference on Machine Vision (ICMV 2019). ICMV conference is initiated by School of Electronics, Si Chuan University, China, assisted by Halmstad University, Sweden, University of Barcelona, Spain. This is the annual conference started in 2007(Islamabad,Pakistan),ICMV 2009 (Dubai, UAE), ICMV 2010 (Hong Kong), ICMV 2011 (Singapore), ICMV 2012 (Wuhan, China), ICMV 2013 (London, UK), ICMV 2014 (Milano, Italy), ICMV 2015 (Barcelona, Spain), ICMV 2016 (Nice, France), ICMV 2017 (Vienna, Austria), ICMV 2018 (Munich, Germany) . ICMV 2019 will take place in Amsterdam, The Netherlands during November 16-18, 2019, the conference chairs are Prof. Antanas Verikas, Halmstad University, Sweden, Prof. Petia Radeva, University of Barcelona, Spain and Prof. Dmitry Nikolaev, Institute for Information Transmission Problems, RAS (IITP RAS), Russia. The emergence of Machine Vision as a ubiquitous platform for innovations has laid the foundation for the rapid growth of the Information. 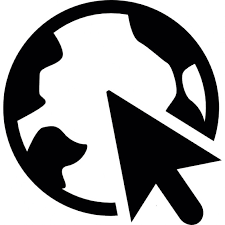 Side-by-side, the use of mobile and wireless devices such as PDA, laptop, and cell phones for accessing the Internet has paved the ways for related technologies to flourish through recent developments. In addition, the Machine Vision Technology is promoting better integration of the digital world with physical environment. This conference serves to foster communication among researchers and practitioners working in a wide variety of scientific areas with a common interest in improving Machine Vision related techniques. 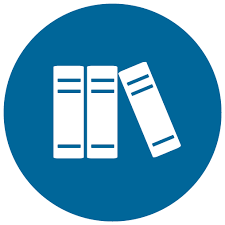 High quality, original papers are solicited in all areas of Machine Vision. The final program will be the result of a highly selective review process designed to include the best work of its kind in every category. The program will include invited talks as well as oral and poster presentations of refereed papers. ICMV 2018 accepted and presented papers can be published by SPIE, which will be included in SPIE Digital Library, provided to the Web of Science Conference Proceedings Citation Index-Science, Scopus, Ei Compendex, and others, to ensure maximum awareness of the Proceedings. ICMV 2018 papers were published in SPIE Proceedings. 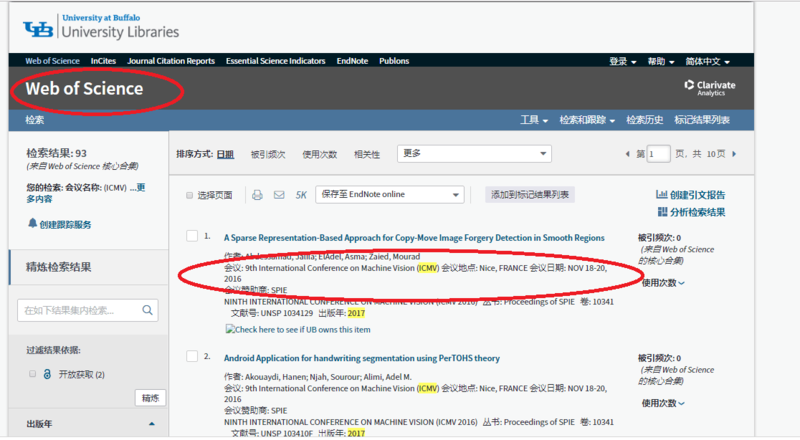 All papers have been submitted to SPIE digital database. 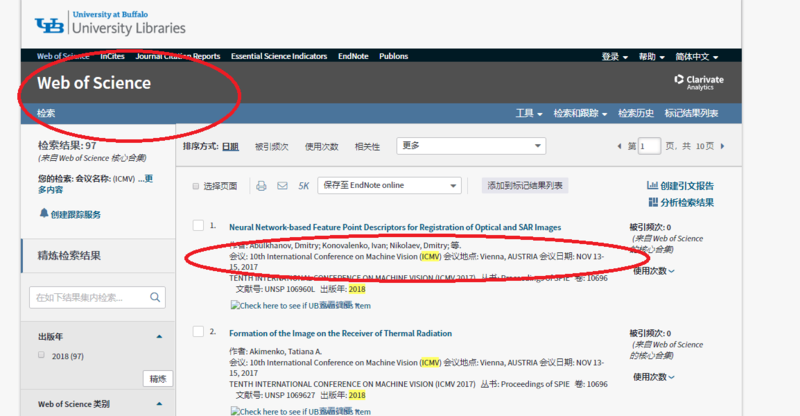 Extension papers can be recommended and published in special issue Journal of Imaging (ISSN 2313-433X) - free for readers, free publication for well-prepared manuscripts submitted in 2018. Indexed in the Emerging Sources Citation Index (ESCI - Web of Science), Inspec (IET) from Vol. 3 and in the DBLP Computer Science Bibliography. Full paper and abstract are accepted, send your contributions to Electronic Submission System. February 12th, 2019 / News! The 12th ICMV 2019 is to be held in Amsterdam, The Netherlands during November 16-18. A great conference you cannot missing. Call for paper now. November 4th, 2018 / Index News! The conference ICMV 2018 was held in Munich, German successfully during Nov. 1-3. You can browse more details here. (Click) The conference secretary for mail you linkage for download all original photos. Please check your mailbox on time. May 16th, 2018 / News! Prof. Johan Debayle, Ecole Nationale Supérieure des Mines, Saint-Etienne, France to make plenary speech. November 20th, 2017 / News! ICMV 2017 held successfully in Amsterdam, The Netherlands. More than 100 participants joined the conference and shared their researches. Conference photos will be shared via dropbox shortly. Wish to meet you all next year! !